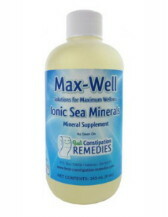 1.25 ounces of pure, natural, perfectly balanced sea mineral electrolyte. Use in place of Gatorade or Powerade for the perfect rehydration electrolyte. Use Crystal Lite Pure Lemonade to add flavor to your EBoost 76. 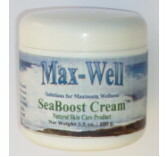 With 40 drops of low sodium EBoost 76 you get over 50% of your daily magnesium. hydration and electrolytes achieve a better balance. which most people lack in a normal diet. or add to other drinks to taste. and being very alert and clearheaded, even after insufficient sleep. Reverse Osmosis or distilled water is dead water. 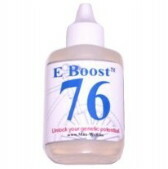 EBoost 76 restores minerals, flavor and smoothness.